I knew nothing of the enterprise content management (ECM) industry before I started working at Laserfiche. As I went through training, I used analogies to wrap my brain around the concepts of “efficiency software,” “business process automation” and “wait, we don’t build robots?” At one point, I realized that ECM and skyscrapers have some interesting similarities. Below are five comparisons that helped me understand ECM from the ground up. NOTE: If this is your first time learning about ECM, I suggest reading the following blog posts before continuing. You need a foundation before you can build, right? 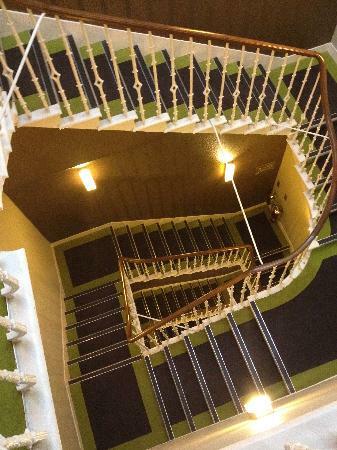 The average person could probably take the stairs to the top of a skyscraper. But the average person might also pass out afterward. Without passenger elevators, skyscrapers would be nothing more than really tall gyms. Seriously, why don’t stairwells have drinking fountains? Using paper to collect, store and move information is like taking the stairs. Paper will get the job done, but the time and energy needed to run a manual, paper-based system is less than ideal. Switching to an ECM system is like installing an elevator in your organization. Because ECM uses digitally stored information, documents can be instantly routed between locations, reducing time waste and mailing costs. The taller the building, the more essential an elevator becomes. In much the same way, the more information that flows through your organization, the more you need an efficient approach to managing it. Learn how to elevate your business processes. 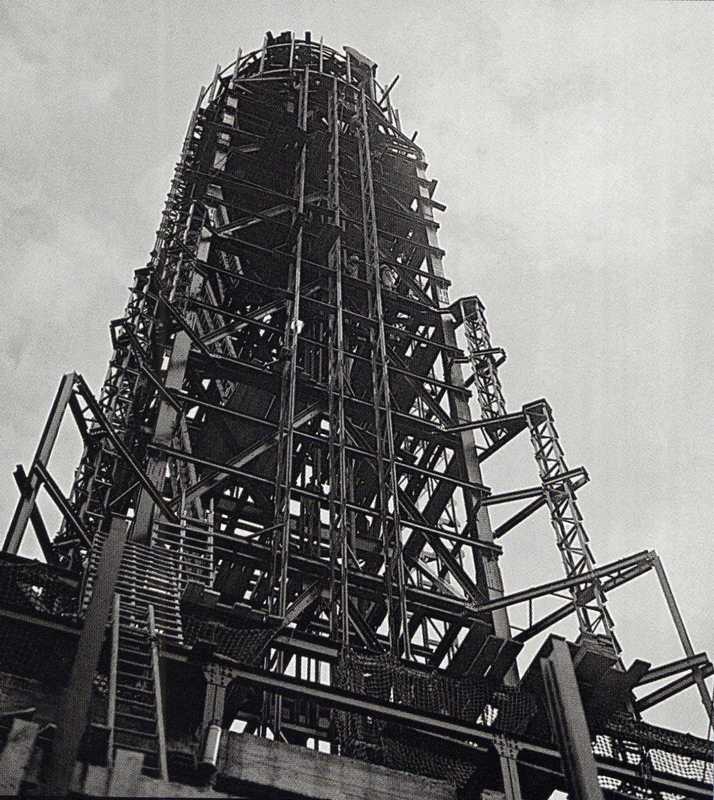 Along with passenger elevators, the introduction of steel frames in the early 20th century catalyzed the building of skyscrapers. It’s the reason our metropolitan skylines don’t include pyramids, Gothic cathedrals or other grandiose structures of the past—steel (and now concrete) systems best support vertical expansion. The principles of structural support apply to organizations of all sizes and industries. Unstructured information management, wherein specialized procedures are established departmentally using disparate systems, leads to all kinds of communication problems. Without structural consistency, your organization is more hodgepodge than harmony. ECM is a structural system. 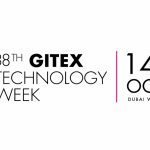 Folders, workflows and repositories can be customized to suit each department, but everything operates within the same software application. In a skyscraper, unique floor plans can be arranged but the overall structure is consistent from floor to floor. ECM behaves in much the same way, providing a standardized, repeatable framework for current and future operations. See how ECM balances autonomy and structure. Aside from their towering height, modern skyscrapers are distinguished by their countless windows. Because steel and reinforced concrete occupy less space than brick or stone, more surface area can be devoted to glass panes. In other words, the structural frames of skyscrapers allow for more transparency. Windows…transparency…I see what you did there. In the context of enterprise content management, transparency refers to the open flow of information that results from a standard software system. Department heads observe activity within the system, records managers track documents and business units share files with minimal effort. And when auditors make their rounds, every invoice, contract and form can be traced through the ECM system. ECM increases visibility, which leads to better accountability, management and communication. See why transparency isn’t a lofty goal. Steel frames and reinforced concrete allow civil engineers to build taller, and more resilient, buildings. 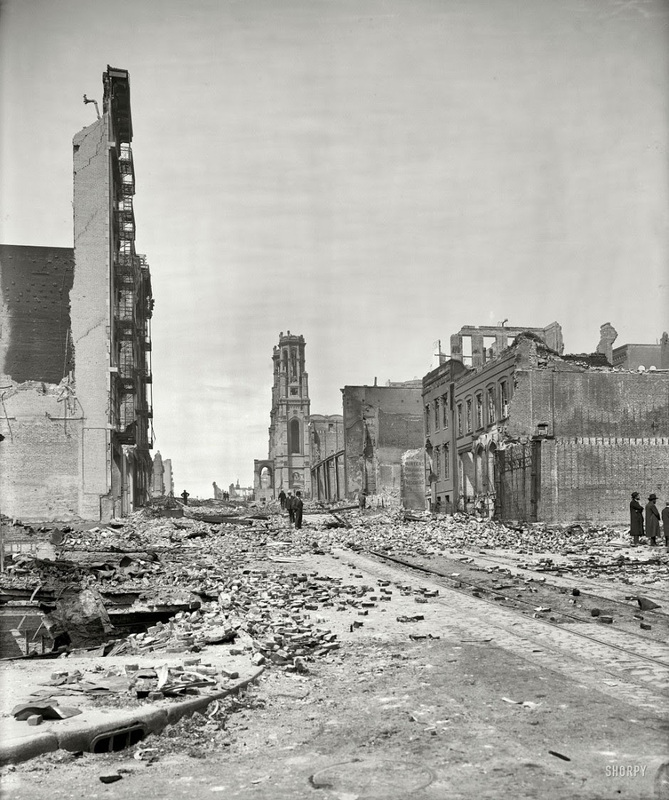 Modern skyscrapers are designed to withstand earthquakes, wind and other forces of nature—their masonry era predecessors weren’t so lucky. 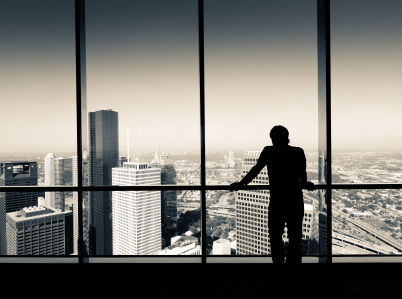 Resilience is a term that applies equally to skyscrapers and the organizations that occupy them. Without a business continuity plan, organizations can fall like a ton of bricks. Meanwhile, those who take the time to plan for disasters and interruptions are far more likely to rise above the rest. ECM systems are built around a centralized repository that contains all the content an organization needs to operate. Because content can be digitally stored offsite, business can continue even when an office building goes out of commission. A superior ECM system will also offer remote or mobile access to documents and business processes, so employees can work from anywhere should the need arise. Learn why ECM helps organizations stay afloat. Elevators and steel enabled the building of skyscrapers, but it was the outrageous price of real estate and shortage of space in cities like Chicago and New York City that drove the necessity for taller buildings. Engineers were able to pack more useable square footage into skyscrapers than other building designs, making them symbols of both economy and magnificence. Digital documents require less storage space than paper, transforming rooms of file cabinets into useable space. An ECM system centrally controlled by the IT department keeps maintenance costs far lower than a network of department-owned solutions. An ECM system eliminates the costs of shipping, printing and transporting physical documents. Standard business processes can be repeated across the organization, lowering implementation costs. In both skyscrapers and ECM, cost-efficiency results from the possibilities of technology and the realities of economic constraint. 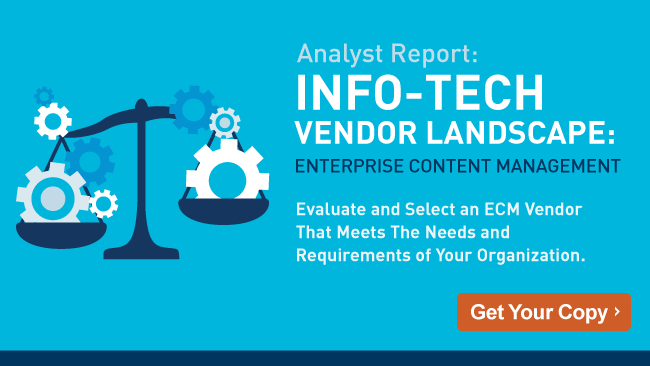 If you’re currently researching ECM software vendors, one of the best place to start is with an analyst report. 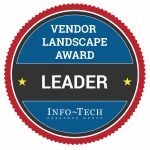 Get your free copy of the InfoTech ECM Vendor Landscape report today!